Editor’s note: The content of some of these photos may be disturbing to viewers. 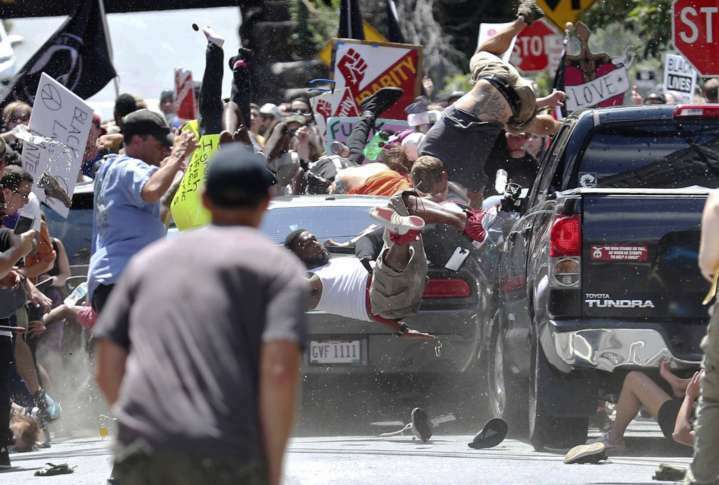 WASHINGTON — White supremacists clashed with protesters in Charlottesville, Virginia, Saturday, Aug. 12. The rally erupted in violence that resulted in three people killed. One woman was killed when she was struck by a car that plowed through protesters. The driver, a 20-year-old man from Ohio, has been arrested. Two troopers were killed when their helicopter crashed outside the city. They were assisting with the rally. Below are some photos of the events that took place.